I’ve always been a writer to some extent, but I didn’t seriously pursue a writing career until January 2009. I was busy raising two kids, so I waited until they were both in school to concentrate on writing my first manuscript. Since childhood I’ve truly enjoyed writing, but it wasn’t something I ever considered doing professionally. When I turned thirty-six, I found myself on a quest to find my passion in life. Part of it might have been influenced by the fact I didn’t work outside of my home, so I was looking for some way to express myself, in addition to earning a bit of money. I also think there’s always been this desire inside of me to tell stories. I have tremendous respect for those involved in the arts. My artistic outlet happens to be writing. If I didn’t do it, I would be denying my reason for being on this earth. It would be like a musician not making music, or a painter not painting. I’ve completed three manuscripts in addition to several short stories. I’ve recently revised my first manuscript, which is a tragic romance/family saga. I’m currently trying to land an agent with this story. 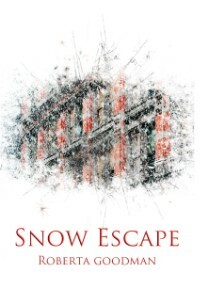 Snow Escape was my second manuscript, which was published by an independent publisher in e-book format in October 2011 and paperback in May 2012. My third manuscript, Persevering through the Unforeseen-One Couple’s Experience Conquering Testicular Cancer, documents my husband’s battle with T.C. I posted it on my blog this past September, because my hope is to give hope to individuals in similar situations. Two of my short stories, entitled The Reunion and Delusions of Grandeur, are also on my blog. Well, like I said, my first manuscript is a tragic romance/family saga. When Serafina meets Joe in October of 1936, both of them realize immediately they’re soul mates. Their intimate encounters can only be described as earth-shatteringly intense. Remaining inseparable for two years, Joe becomes sick and decides to end their romance to save Serafina the heartache of having to watch him die. Unaware as to why he’s broken up with her, and devastated beyond belief, she eventually turns to the man who will become her husband. It’s a multi-generational tale spanning almost eighty years. From the Great Depression through WWII and beyond, the reader is a witness to the changes one woman’s life undergoes as she becomes a wife, mother, and grandmother as well as the trials and tribulations her own children end up going through. Alcoholism, untimely deaths, physical and mental abuse, adultery and life-long regrets abound in this heartbreaking character study of human emotions. I hope to get this story published in the near future. My second manuscript/debut novel, Snow Escape, is a murder mystery/thriller that takes place in Brooklyn, N.Y., on the night the biggest snowstorm in history is occurring. My main character is a 30-year-old single school teacher named Allegra Maxwell. She’s used online dating to meet potential love interests. One of these men chooses the night of the snowstorm to contact her. They talk via Instant Messenger for several hours. During this conversation she discovers he’s been stalking her and claims to live in her building. This is where his threats to harm her begin and will continue throughout the night. She turns to neighbors for help with tragic consequences ensuing. She’s basically trapped in her apartment building, because there’s a tremendous amount of snow on the ground hampering her attempts to leave. It’s also keeping the police from reaching her. As I’ve mentioned previously, Persevering through the Unforeseen-One Couple’s Experience Conquering Testicular Cancer is a factual account of what my husband and I went through while he was being treated for T.C. It’s an incredibly personal story that reads more like a journal or diary. When I was searching for information about what to expect after my husband was diagnosed, I had no trouble finding medical material. What I couldn’t find was many personal accounts written about everyday people and their families dealing with this disease. Sure, people can buy Lance Armstrong’s book, but I think many of them can’t relate to a celebrity in the same way as they can relate to someone like my husband and I. Everything inspires me. Nature, real-life and family situations, even current events will spark my creativity. In the case of Snow Escape, I endured three huge snowstorms. Two occurred within a week of each other. About a week after the back-to-back storms I was sitting at my computer querying agents for my first manuscript. I looked out the window and watched as more snow fell. Thankfully, this storm was going to pass my area and head up to New York. I remember thinking, “Thank God we’re not going to get hit from another storm. Let New York get clobbered with it, because I’ve had enough snow.” That’s when I had this “light bulb” moment. What if you had a woman in New York, and she’s trapped in her apartment because it just keeps snowing? What if this woman uses online dating to meet guys and one of them decides to contact her during the blizzard, etc. The details basically came flooding to me, so I was compelled to write them down. It’s funny because it’s not something I can control. When inspiration hits me, I have to sit down in front of my computer and just go with it. My first manuscript is loosely based on events that happened on my mother’s side of the family. They were dysfunctional, and I chose to weave stories I heard growing up into a full-length account. Several of the events actually happened to me. Snow Escape was a completely made-up story, so I didn’t have any personal experiences to include. The manuscript about my husband’s cancer was completely fact-based, so that was definitely written from events we both experienced. It goes into great detail about what’s involved when someone receives chemotherapy. If you’re a person who dreams of being a writer, never give up! Even in the face of adversity, push through it and don’t let others tell you that your work isn’t good enough to get published. It’s a tough business to break into, especially without an agent. Sometimes you have to take a non-traditional route to get your work out there such as using an independent publisher or self-publishing. If you happen to get published, or you make the decision to self-publish, promote your work everywhere. No one will work harder to get your work the attention it deserves than you. Unfortunately, I’ve never used a professional editor because of financial constraints. I’ve had to be the one experiencing hours upon hours of tedious proofreading in order to perfect my books. I definitely feel it’s worthwhile to use one, if a writer can afford to, because it’s harder for someone to see his or her mistakes. Sometimes utilizing another set of eyes can save someone’s sanity, in addition to hours of time. I apologize in advance for this lengthy response. My journey to become a published novelist hasn’t been an easy one. In January 2009 I began writing my first manuscript. My tragic romance/family saga took ten months to complete. After many months of querying to agents, I failed to secure representation. I decided to set it aside. A few months later, while enduring the worst winter I can ever remember, I was inspired to write Snow Escape. It took me a total of five months to complete it. Again, I started the process of querying to agents. I had high hopes someone would feel as passionate about this work as I did. I sent out more than a hundred queries and waited patiently for the responses. Rejections started to pour in from about half of those queried. After several months I ended up shelving Snow Escape. I started doing some freelance work, because I couldn’t bring myself to attempt to write a third manuscript. I didn’t even consider self-publishing, because I didn’t feel that was a road I wanted to go down. As I’ve already mentioned several times, at the beginning of 2011 my husband was diagnosed with testicular cancer. It was an incredibly devastating time in my life. I knew I had to stay strong and find a way to cope with the stress of his having to go through surgery and chemotherapy, so I began to write a manuscript about our struggle. I felt it was important to get the word out about this disease. He endured four aggressive cycles of chemo for a total of twenty doses. In May 2011, he was told he was cancer-free. He continues to show no signs of the cancer’s return, and for this my family is grateful. For the third time I started the process of querying to agents, but I didn’t get very far. I was told several times our story is too personal, therefore it isn’t marketable. I made the difficult decision to set it aside. In September 2012 I published it on my blog for everyone to read free of charge. I want those suffering in similar circumstances to be able to read our story and realize they can get through it. My goal is to give them hope. In July 2011 something compelled me to revise Snow Escape. Within a week, through fate, I had the number of a small independent publisher. I called her up and told her about my project. I ended up sending her a query, a synopsis, and the first three chapters of my manuscript. A little more than a week later I received an e-mail stating my work was going to be published. In the midst of promoting my debut novel, I made the decision to revise my first manuscript. The revisions are complete, and I feel my tragic romance/family saga has been enhanced to be a profoundly deep and thought-provoking tale. I continue to query agents with this story. Hopefully, I will finally secure representation. If I don’t, then I will probably end up utilizing an independent publisher once again. It wasn’t always easy. I’m fortunate my husband supports me in my decision to pursue a writing career and that he’s been willing to be the sole financial provider for our family. I don’t have a job outside our home, so I was able to do the majority of my writing when my kids were in school. This is a practice I still engage in. I will admit that if they’re home, and I have an overwhelming urge to write, I explain to them I need some time alone. It works better if they’re able to go outside and play. I actually wrote a large part of my cancer manuscript while sitting beside my husband while he received chemotherapy treatments. I believe everyone can benefit from writing their thoughts down. An individual doesn’t have to be a “professional” writer to keep a diary or journal. Capturing an emotional time such as a traumatic incident in one’s life can help with resolving inner turmoil, regret, anger, etc. When a loved one or friend dies, writing about that person can help with the grieving process. It’s also an excellent way to memorialize the departed. Self-reflection is a healthy practice that’s enhanced when an individual can go back and read over the experiences they’ve been through so they can see how far they’ve grown emotionally. Several of my guests have often said writing is therapeutic and relaxes them. Can you talk a little about how writing relaxes you? Any specific examples you can share? Can you also talk a little about how writing your book was therapeutic? What do you mean? Writing is a way for me to express myself so I don’t explode. I can purge myself of every bad experience I’ve ever had just by weaving it into my stories. The most therapeutic writing I’ve ever done is when I documented my husband’s battle with T.C. I chose to write about his struggle early on because I needed a way to cope. It was a situation that was out of our control, so writing about it gave me some measure of reassurance that everything was going to be fine, if that makes any sense. Yes, writing has definitely made me a better person. I’ve been blessed with an ability to help people escape their everyday lives through reading my stories, and that’s a very powerful thing. Writing makes me feel like I’m contributing to the collective human experience in a way I wouldn’t be able to otherwise. It gives me confidence to create situations that will entertain readers. Through freelancing, and writing articles on my blog, I feel I can help people by being a source of information that could possibly benefit their lives. I love to read, but don’t always have enough time to indulge it. I’m primarily a fiction reader, but ironically enough one of my favorite books of all time, Midnight in the Garden of Good and Evil, is non-fiction. I also loved Eat Pray Love, which is a memoir. Overall, I think I prefer fiction because the writer’s imagination can go anywhere without having to worry about being true to facts. I adore tragic romances because people don’t always live happily ever after, and love doesn’t always conquer all. I enjoy horror if it’s well-written and is more psychologically based than gore-based. Classic literature has always had a place in my heart because it transports me to another time and place. Reviews can make a huge difference in the amount of books a writer sells. If a book has predominately good reviews, then a writer could possibly sell more of his or her story. If the reviews aren’t so good, it could possibly dissuade readers from buying it. By writing a review, a reader lets others know how a particular book affected him or her. Writers want that feedback because it lets us know we’ve done our job of entertaining with our words. Even the bad reviews serve a purpose in that they force a writer to improve his or her skills. So far I haven’t received a truly horrendous one. I would probably be crushed to have anything I’ve written be totally bashed, but I’ve put my work out there, so I would have to deal with it. Several people have pointed out flaws in Snow Escape, but I don’t view their feedback as criticisms. I believe what they’ve told me will improve my future writing. Every person comes away with something important to say about what they’ve read. The only way I can grow as an artist is to absorb people’s reactions to what I’ve written. Roberta Goodman grew up in Philadelphia. 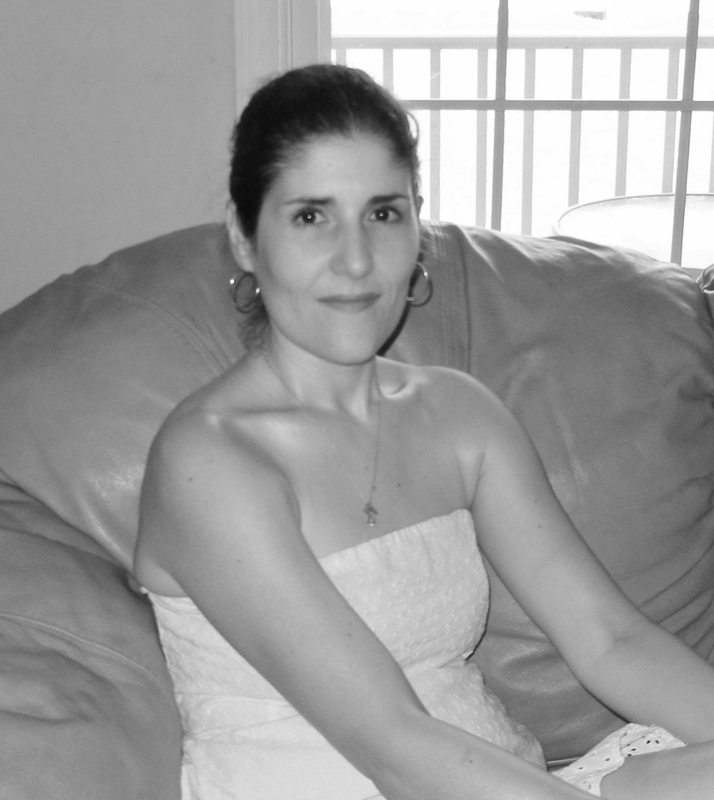 As a stay-at-home mom of two children, she discovered her creativity could be expressed through the written word when she embarked on writing her first manuscript in January 2009. 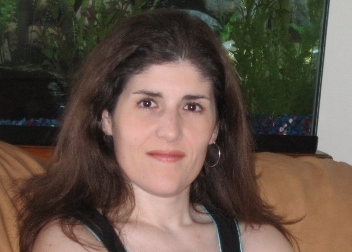 In addition to freelance writing, she’s written a total of three manuscripts and is currently working on her fourth. Snow Escape is her first published novel. Persevering through the Unforeseen-One Couple’s Experience Conquering Testicular Cancer, which chronicles her husband’s battle with T.C., can be read on her blog Ro-Always Inspired. Roberta and her family live on the upper eastern shore of Maryland. This entry was posted in accomplishments, cancer, dreams, family and friends, fears, Home life, hopes, social and mobile media, spiritual, inspiration by jbournesblog. Bookmark the permalink. Thank you so much for giving me the opportunity to appear on your blog, Jason 🙂 I really appreciate the support!